The new Rebel Elite T-Shirt by Iron Rebel is perfect to wear for any casual occasions or a night out on the town. 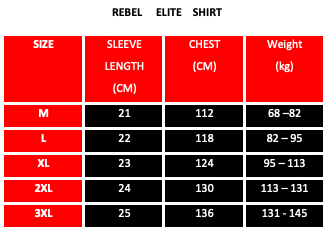 The custom cotton and polyester blend by Iron Rebel offers an amazing stretch and hold capabilities to allow for extra room in the shoulders and arms as well as taper at the torso to provide the perfect aesthetic look. Fit: the t-shirt stretches to fit your shoulders, but tapers at the waist. If you are in the middle of sizes, we recommend that you order a size down.